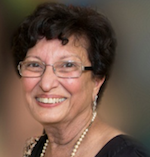 Dr. Dastoor, recently retired as Clinical-administrative Chief, of the Program in Dementia with Psychiatric Co morbidity, Douglas Mental Health University Institute, is Assistant Professor in Psychiatry, McGill University, and is the Chair of the Education Committee, of the McGill University Research Centre for Studies in Aging, McGill University. She specialized in the assessment of dementia, especially Alzheimer’s, and has developed an assessment tool for the prognosis of this disease. Dr. Dastoor was President of the Alzheimer Society of Montreal from 1986 to 1991. Clinical investigator and staff neurologist at the Montreal Neurological Hospital and Institute (1976-1986), Director of the McGill Centre for Studies in Aging (1986-1996), Senior Scientist of the CIHR-Rx&D program (1997-2007). Currently Professor in the Departments of Neurology & Neurosurgery, Psychiatry, Medicine, at McGill University, and Director of the Alzheimer Disease and Related Disorders Research Unit of the McGill University Research Centre for Studies in Aging, Douglas Mental Health University Institute. 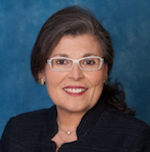 Dr. Rosa-Neto is a clinical neurologist with expertise in quantification of brain functions using imaging techniques, in particular, Positron Emission Tomography (PET). 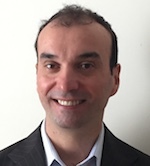 Dr Paolo Vitali is a board certified neurologist (FRCPC) and neuropsychologist. 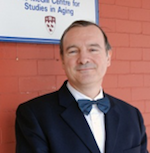 He is neurologist at the CIUSSS Nord-de-l’Île-de-Montréal and at McGill University Research Centre for Studies in Aging. . Dr. Vitali is currently involved in the assessment and follow-up of patients presenting with neurodegenerative diseases, especially atypical dementia presenting with language impairments. 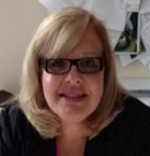 Dr. Loraine Mazzella is a Family Physician in Montreal. She is a medical adviser member of the Education Committee of the McGill University Research Centre for Studies in Aging. She is Associate Professor of McGill University in Family Medicine. Among her activities, she is Physician at Centre D’Hebergement Henri-Bradet, Richardson Hospital, Manoir Claudette Barré and has extensive geriatric expertise. 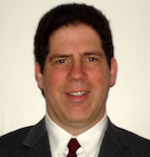 A 1985 McGill Dentistry graduate, Dr. Michael Wiseman is an assistant professor in the Faculty. He is a Fellow of the American Board of Special Care Dentistry, a Diplomat of the American Board of Special Care Dentistry, and a Member of the Royal College of Surgeons of Edinburgh in Special Needs Dentistry. 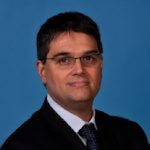 Executive Director Italian-Canadian Community Services of Quebec (ICCSQ) - Services Communautaires Canadiens-Italiens du Québec Inc. (SCCIQ). 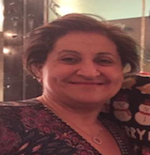 Born in Montreal of Italian Immigrant parents, nursing career spanning over 25 years, first at the Montreal Children’s Hospital in the ENT and Burn Unit, then at the Centre d’Accueil Dante and Centre de Jour Dante, affiliated with Santa Cabrini Hospital. 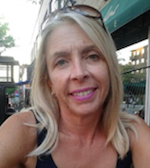 Mrs. Maiolo has been in the position of Executive Director of the ICCSQ, a non-profit charitable community organization since 2005.